I recently came across a hundred-year-old recipe for Chinese Chews. 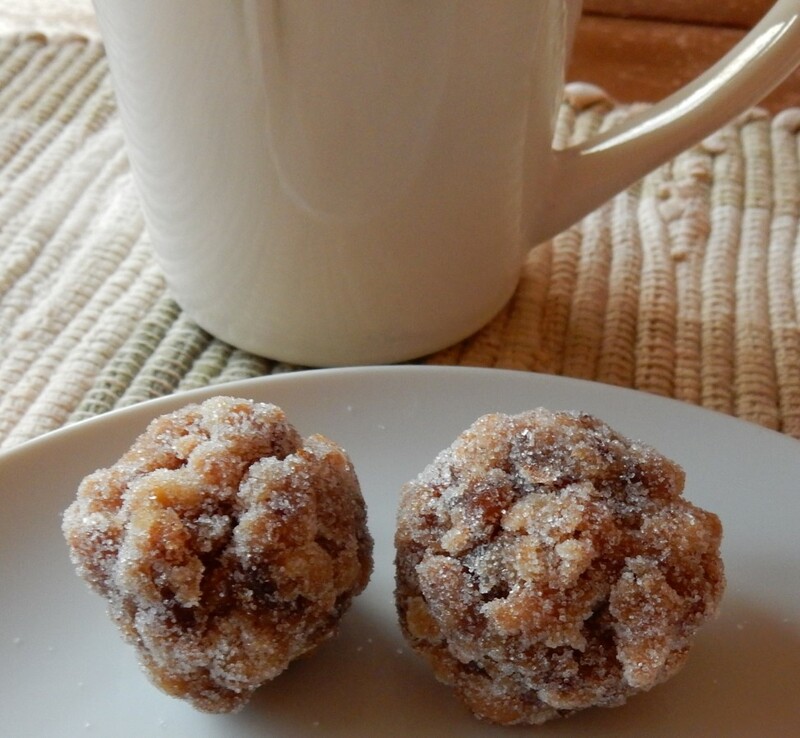 The recipe was for walnut and date cookie balls. Why were they called Chinese? Were the balls supposed to seem special because the name evoked thoughts of exotic, far away places? I think of the middle east when I think of dates – but not China. That said, improbably named recipes inevitably intrigue me, so the next thing I knew I was making Chinese Chews. Chinese Chews are a sweet chewy treat, and would make a nice addition to a holiday cookie tray. They were fun to make. The dough is spread thinly in a pan or baking sheet, and then baked until it just begins to brown. The baked dough is then removed from the oven, cut into pieces, and rolled into balls which are then coated in granulated sugar. Preheat oven to 350° F. In a mixing bowl, combine the sugar, flour, baking powder, salt, and eggs. Then stir in the dates and walnuts. Spread thinly on a baking sheet. (There may not be enough to cover the entire sheet.) Place in the oven and bake until the dough sets and just begins to brown (about 15 minutes). The baked dough should look “not quite done.” Remove from oven and cool about five minutes. Use a spatula to remove the baked dough from the pan Take chunks of the baked dough and shape into 1-inch balls. (Don’t worry if baked dough comes out of the pan in odd-shaped pieces. I put all the pieces in a bowl, and intentionally combined some of the “crustier” portions from the edge of the pan with some of the softer portions from the center to make balls that had a nice consistency.) Roll each ball in granulated sugar. Work quickly because the balls are easier to shape when the dough is still warm. Cook’s note: The hundred-year-old recipe called for pastry flour. I used all-purpose flour and it worked fine.